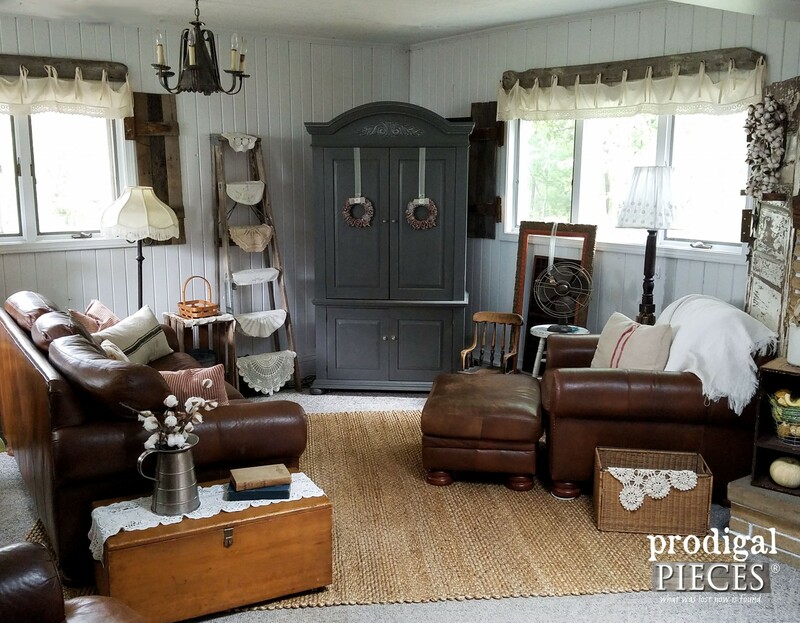 In the future, I will show you the true before as a few years ago I did three coats of paint and stain-blocking primer to this room, tore down a drop ceiling, and made my pallet shutters and barnwood & bedskirt valance. (both have tutorials) I even got the entertainment center for free from a guy who was originally going to charge me $100, but told us we could have it if we would take his projection TV’s. Deal! Serious praise is that most everything in this room was received for free, even the furniture. However, this room is not done as I am still ACHING to be rid of that berber carpet that is beyond ancient. Once our kitchen is done we are giving this room a makeover, so I CAN’T WAIT! I’ll share more on the other details later on when we tackle the room. An ongoing debate between my husband and I is whether or not to put wood or carpet (blucky!!) down on the floor. I have repeatedly argued that it makes no sense that there is carpet because of the fireplace (burns all over), we carry in firewood every other day (mess), and with kids and dogs (vomit, potty mishaps) it is gross. Let me tall ya that I will NEVER have that stuff again because who gets to clean it? yup. My concession to him was an area rug on one side and wood on the floor. Since then, I have challenged him that if I could find someone to sponsor us a rug (because that’s what I do for y’all) then wood it is. Guess what? I didn’t even have to find one as Rug Expedition sent me an email asking if I would love to try one of their rugs. Whaaat?? ahahahaha!! WIN! God has a sense of humor. tee hee. Be still my heart. I just love natural rugs especially, as I also own bamboo and wool ones. The fact that any rug can be removed from the room and a good cleaning can happen makes my heart happy. You can see more of the one I chose HERE. 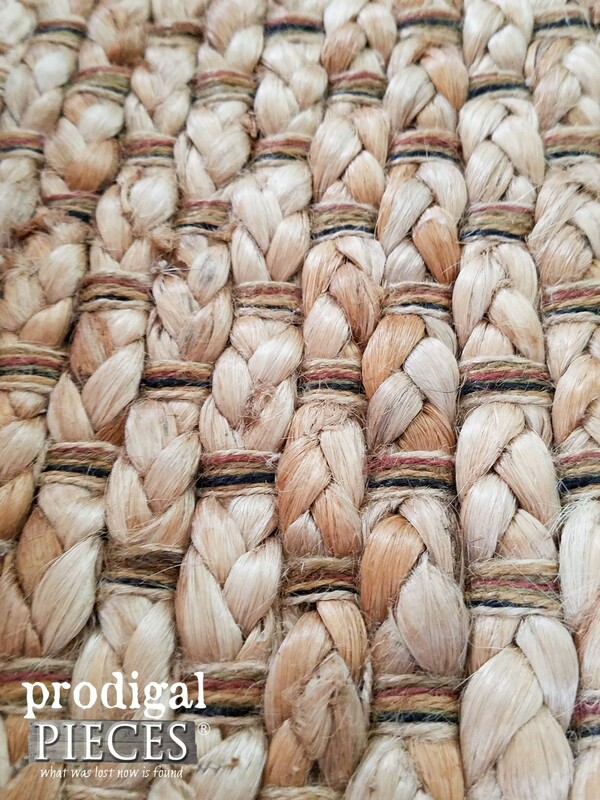 If you take a closer look, you’ll see how gorgeous the braids are and how well this rug is put together. My whole family are confessed bibliophiles (book lovers) and this is the normal scene around here. So much so that I have to punish them at times for not getting their school work or chores done. I love having that problem. They are obviously in love with how cozy our area has become. Even our cat, Lily, who never lays on the floor, was found getting cozy later that same evening. I think we have a winner! Just for fun, I took it upon myself to show you a few of the hundreds upon hundreds of choices that caught my eye at Rug Expedition. Have a close look because in a minute you’re going to have a chance to win your choice of rug! Yay! I could get lost in choosing only one. I even considered this blue version of the jute rug I chose. Isn’t it beautiful? Now let’s get this party started for you. All you have do to is fill out the widget below and you’ll be entered to win a $100 gift card to Rug Expedition. They have thousands under $100, so you can get something completely free, or put it towards a larger purchase. Best part is this a family-owned business who offers free shipping and a 30 day in-home trial on all purchases. Can’t beat it. Giveaway is open to all U.S. and Canada residents and winner will be contacted via email and announced on the Sept. 27th. I’m so excited! Do pin and share so others can know about this opportunity too! Wow what a difference! Looks amazing and certainly warmed up the room! Love it! 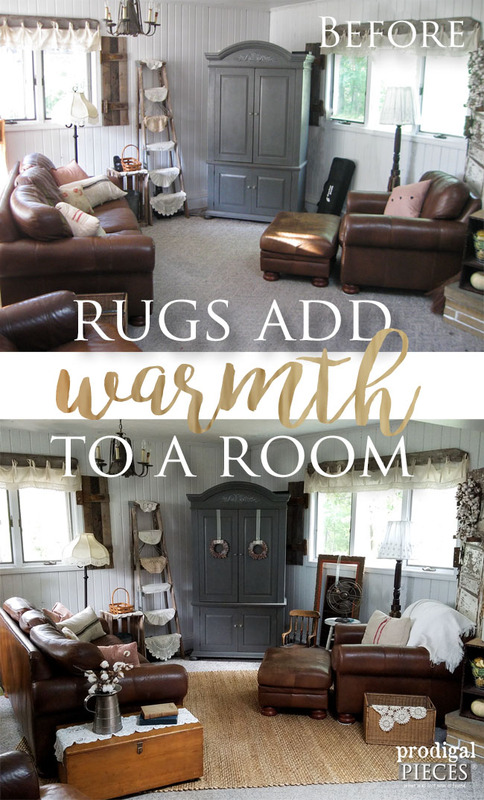 It’s amazing how a rug can transform a room, how cozy it looks now! P. S. The wreaths on the entertainment center doors really make such a difference, too,love that detail. It truly has made is feel new again with such a simple addition. I am so excited to finish up our home! Thanks, Mimi! I have carpeting still and can’t wait to get hardwood floors. If I won a rug I would chose the jute rug, maybe blue! We can patiently wait together, right Kim? 😀 That blue one is seriously pulling at my heart strings. The line does offer more colors, but not all are available yet. They have a chocolate, green, and red too. eep! Size: 5×8 I hope I entered it correctly by commenting here. I love the Milan Ivory/Slate rug! And I’m with you, girl! Can’t wait to get rid of our carpet and put down hardwood! This rug has the perfect colors for our room. Here’s hoping! I love your new rug!! I’d choose the same one, it’s perfect. Have a great day creating!!! 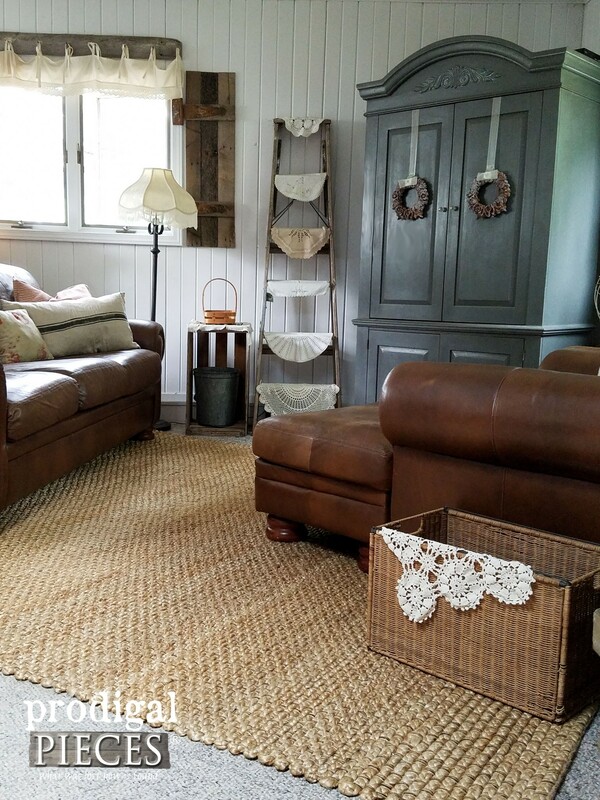 I love that Jute Rug! Beautiful room. 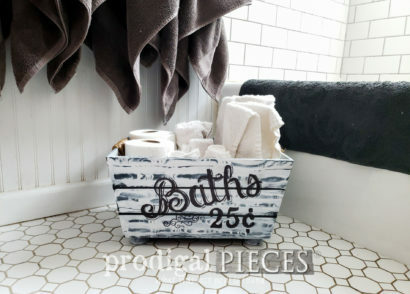 I love your DIY pieces! Loving the the area rug! I personally love hardwood floors with an area rug instead of carpet. Carpet is so hard to care for when you have pets and children. Also just love the look. In the long run the carpet and or hardwood floors are incidental. 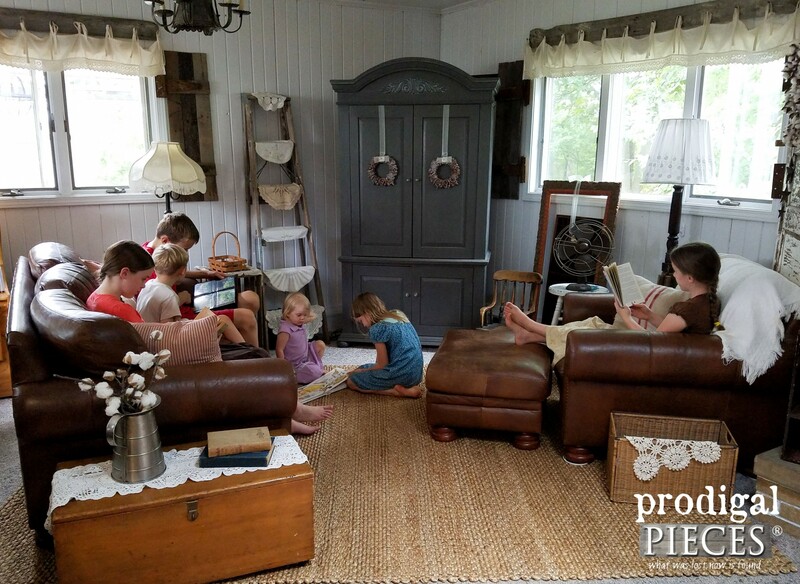 Just enjoy the fact that you family enjoys being together in the room and are avid book readers.So much better than kids shut up in their rooms on the computer or watching television. 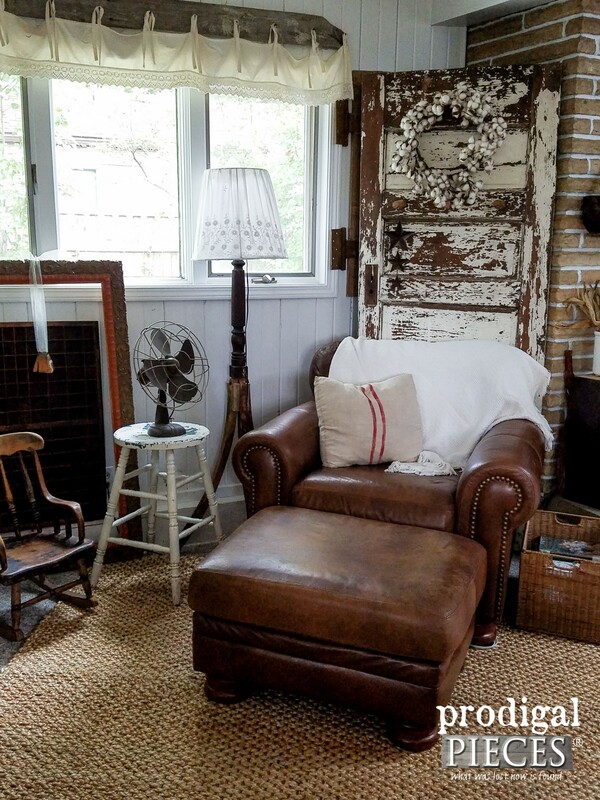 THe rug really warms up the room, especially with your leather furniture. Picking a rug is impossible til I have at least an hour to “peruse” the selection! Same for me! I always find a better one after I choose. hee hee hee. I love the neutral colored one that you chose, but I also like the rust colored one! There’s so many beautiful ones! I really liked Serendipity Ocean Blue. I love the rug!! It brings your whole space together to nicely! I love the milan ivory/slate. Love all the info. I have wood floors i all the main rooms. Would be great. Wow I love the rug you picked! I’d pick the same actually. No carpets in my house– wood and area rugs. Same here. Jute wears so well and offers wonderful texture. Hope you win! Love your family room, looks so warm and inviting! How awesome that your family all spends time together reading books, Love that! I love the blue version of the jute rug. So beautiful. Thank You for the chance to win! That’s awesome, Judy! Congrats on the new room, and thank you for the love. I love your rug! And I like even more in the blue version. But the navy with floral also calls my name. Thanks so much for the give away! 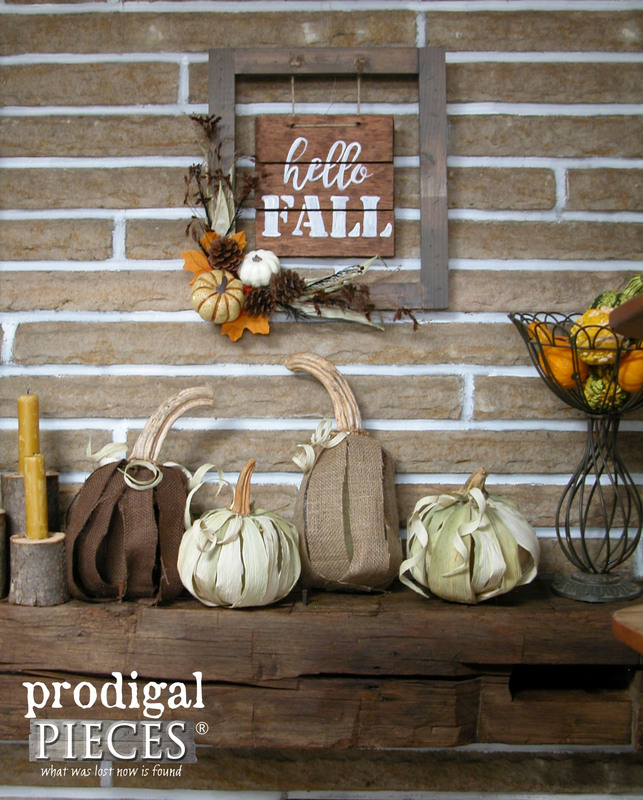 I’m looking forward to the tutorial on the hello fall wall hanging! That blue is amazing. There are so many on the site that I had such a hard time choose. Thanks, Laura! Wow, the rug really warms up your room! I love it. Your family seems to be enjoying it as well! I totally think you should have wood floors! I’m over my carpet too. Would love a nice new rug to put down in the living room! Thanks for the chance to win. Even our dog is now a consistent occupant. It definitely is a winner! I love the Milan ivory slate as my children are grown and I don’t worry about spills any longer. One of the blessings of empty nesting. 🙂 Until grandchildren…I’ll trade hugs and kisses for stains. You picked my favorite one…love it! Hey Larissa, first of all, my husband and I have the same exact dispute of carpet v hardwood. If I had it my way, I’d have hardwood throughout the ENTIRE home with area rugs. Primarily because it seems that I am the only one who knows how to clean up hacked up hairballs in my family. And for whatever reason, Puddles the cat really prefers to hack up her hairballs on carpet than on hardwood. Go figure. In any event, that’s an ongoing battle in our home, but I think I will eventually win in the long run. Back to my rug choices…wow, it’s hard. I love the one you chose for your family room…think the one in my family room is almost identical. But I need one for my office/craft room and I kind heart that Milan Chocolate one. Think it’d be too busy on black/white parquet floor? hahahaha…too funny! I can’t say that I blame JC, my husband, because I have removed carpet from all our bedrooms and living room since there were gorgeous hardwoods under there begging to come out. I guess I’m winning, but want all to be happy. He is and this works wonderfully to have a rug. Your rug choice sounds perfect for a contrast. I don’t envy or covet. You know very well that’s a no-no! I am, however, some kind of jealous!! lol I have been dreaming of this rug for months. I just cannot afford it. I sure would love to win it! I’ll pray hard! hee hee…I hope you win, Linda! 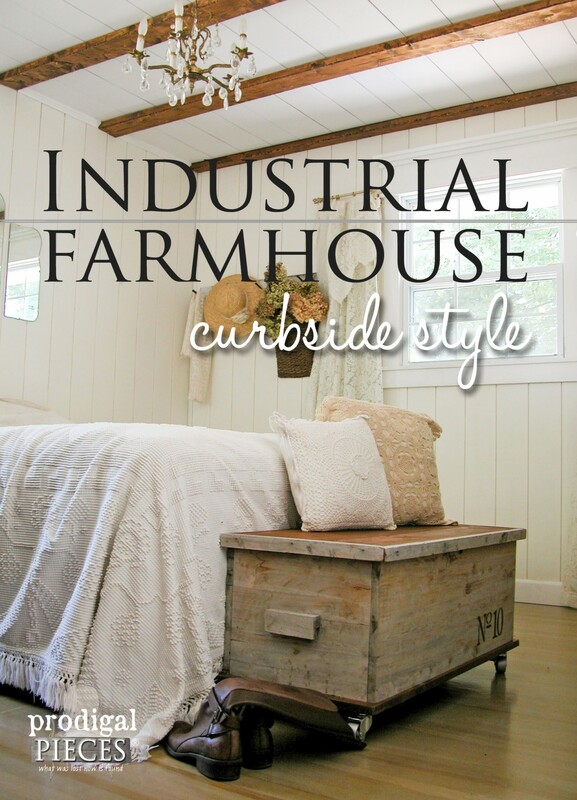 I am finally getting a craft room to call my own – so I think the jute rug (maybe in blue) would be a perfect choice! 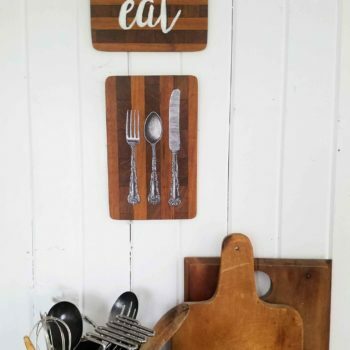 I really like the one you chose – plus, when it comes to major purchases of items that will receive a lot of wear and tear, I like to hear first hand accounts of how people like them! Love the addition to the room. Really cozies it up. I’ve been wanting a good quality, easy care rug for under my dining room table. Have bamboo floors and they need a little protection. Thanks for the opportunity! Love the rug & thanks for the giveaway! I would choose one called American Grafitti that denim fused with natural fibers! I love that one too! So cool that denim is infused in with the jute in so many. Love that! I’ve only recently discovered your website, Larissa, and I’ve enjoyed browsing here. Now I’m excited to know about the Rug Expedition website and do some wandering over there. Thanks! Gorgeous!! Love your cabinet, too! I would love the Blokburst Lilac Love for my daughter’s room!! That is a gorgeous choice. I had lilac in my own room growing up. I liked to add color to our room. I like the ruby dare, but there are many beautuful and affordable rugs to chose from. Thank you. That would be a wonderful burst of color. Good pick! I have loved Capel rugs for years so that would be my choice but they are all fabulous! Love the rug you have. Perfect timing as i’ve been wanting to find a rug for my living room! Fantastic! Consider yourself warned that you will get lost in choices. tee hee. Love the new rug!!! I could use one too. I’m certainly coming back to shop for my other rooms. I love the jute rug! It adds such texture! Wood floors will be beautiful! It’s fun! Yes, the wood will be most welcome for us all…even my husband, JC. That rug really does look awesome with all of your decor! Good choice. I love your home! Excited! I think I would pick the Varanas 27 for the spot I need a new rug for. Love yours, too, by the way! Love that Varanas line. So many choices!! I would choose the 5×8 Terrace Rugby Terracotta for my front porch. Love the color in that one. It would be sweet! I like the Ivory with dark detailing you chose to feature. But the jute you chose is also appealing! I am transitioning from carpeting. It just doesn’t pay to have carpet anymore with upkeep and germs/mites (hate to say it). Wood is the way to go for me! 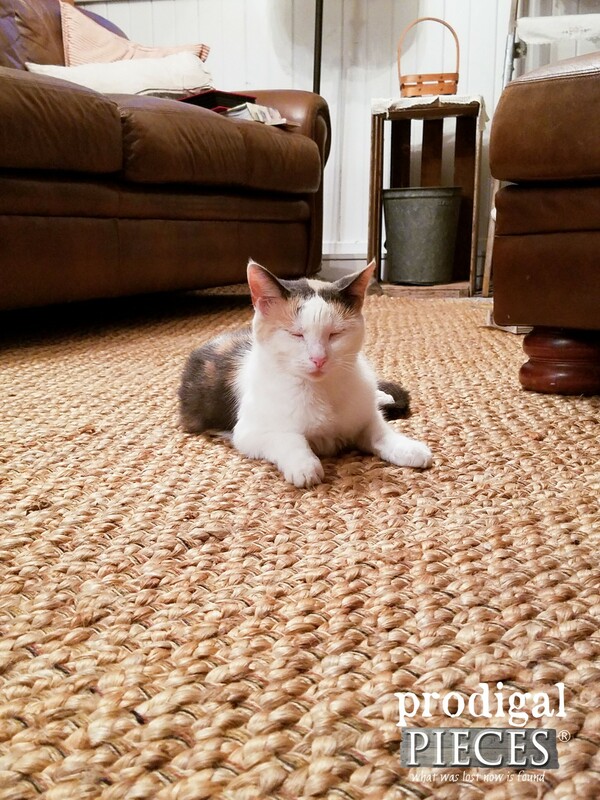 I love the rug you picked! It compliments the furniture in your home so very well! I have wanted a area rug for my living floor but they are sooo expensive. I found the Rug Expedition very reasonable and had many wonderful choices. I am browsing through the site more as soon as I finish this comment! Thanks, Renee! The furniture was gifted to us by my parents as their hand-me-downs and I love how it all works together. Love how cozy and personal your room is! And your furniture is gorgeous!! You know how I feel about rugs!!! 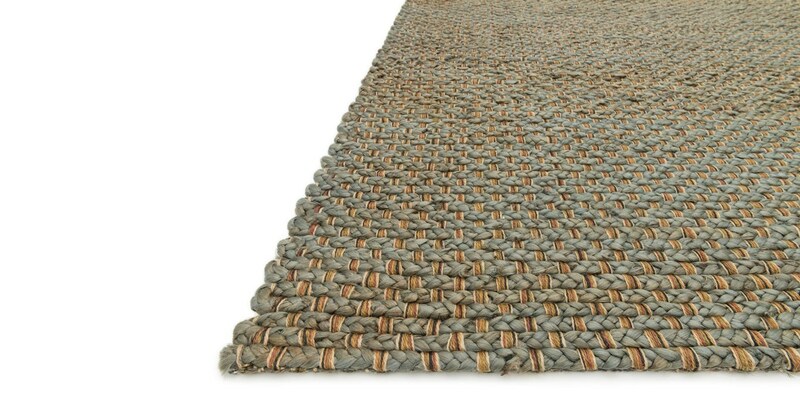 I love the Ravella Khazak Sunrise rug. 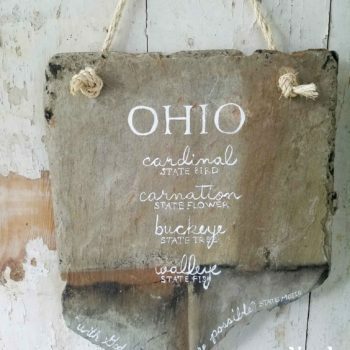 It would be perfect for our outdoor space we are working at creating. Thanks for the giveawy! Love your choice Larissa! It blends so well with your furniture and will look great on the wood floor. You room is so cozy. As usual, great job! Larissa that rug looks awesome. And now both of you can have your choice, your hubby doesn’t have to pull up the big carpet and you get your rug. I like the flokati natural, I think. I love how it brought the room together. Thanks for the giveaway. After seeing your pick, Larissa, I have to say that is an awesome choice! I would love the blue version of the jute rug for my new color scheme in my bedroom. I just picked up a teal comforter set at Dirt Cheap and am loving the new bedroom colors! Pick me, please! At any rate I love your emails, posts, and style! Thanks for always inspiring! Yay! Great minds think alike, Theresa. 🙂 Thanks for the love! I agree. What lives in and under carpet doesn’t bear thinking about. I like all hard surfaces with rugs. I think it is the perfect balance. Just so gross! I agree…they work so well together and give balance. I’m loving on the midnight, the blue jute one is pretty too, curious is your rug soft or stiff? Your family is beautiful. Your new rug looks awesome. I have to agree with you. I don’t particularly like carpet and especially with children and pets. I like the Marina Navy rug. I would love to have that in my dining room underneath my dining room table. Blue and white are my favorite colors to decorate with. I love everything you do. Thank you for sharing your great ideas. I would love a new area rug for my living room. Thanks. 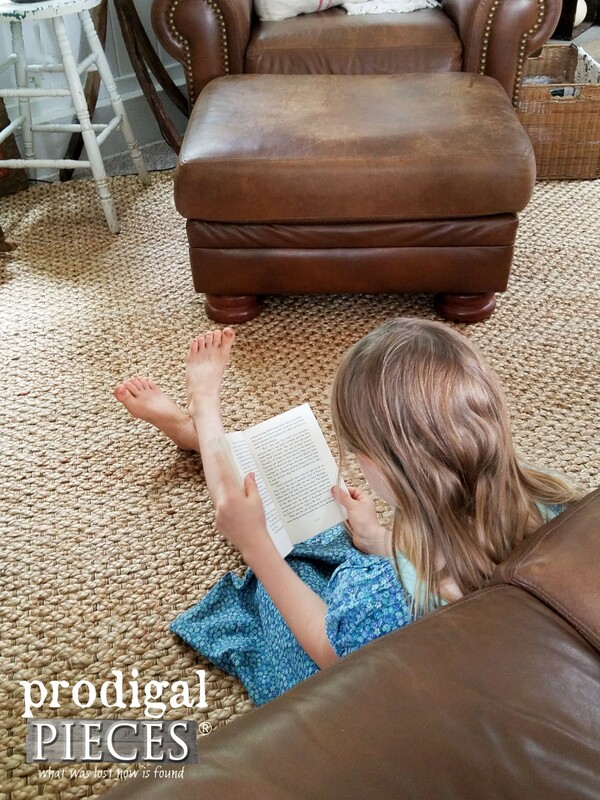 Larissa, Such a cozy spot and I love to see your kiddos reading! Thanks for offering the giveaway too! This is our favorite room with our fireplace, skylight, and oodles of space. This doesn’t show our built-in bookshelves or my sewing area, so there is plenty of space. 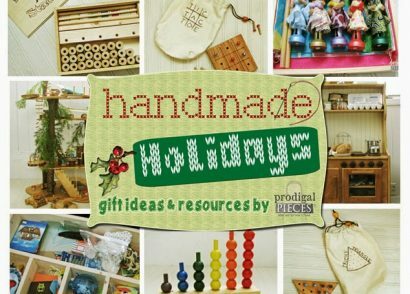 Love your site and all of your fun projects!! You are so sweet, Sarah. Thank you! Ouch. I am so thankful our pets are not the tear-it-apart type, but they have other flaws. ha! Thanks so much for stopping by! That sounds wonderful, Paula! That’s the best thing about this rug as it will go anywhere. I’m even debating on moving it to our living room when it is done or get another. Time will tell! Larissa, how beautiful! Just stumbled into your blog earlier this week and I’m glad I did 🙂 I love the natural look of the rug, as well as the “feel” of your room. I love bringing the outside into my decor, and I love natural colors and textures. Lots of sky blue and golden hues, some brown… that’s what you’d find in my home, too. It’s so nice to “meet” you! How awesome to have you along, Jaime! Thank you for showing me love. 🙂 Until we meet again! I really love the rug you picked out, but for the sake of being different, I think I would love the Corsica Silver Shimmer rug. What a difference your rug makes in your family room!! Love it!! Woot! That is a gorgeous choice, Karen. That would look awesome in my bedroom! Love the rug! I also enjoy natural fiber rugs – the blue is wonderful – I might just have to buy one for my (remodeled) living room! I’m not sure which rug I would choose, there are so many I love!! I also love the one you chose for your room, it’s gorgeous btw! So many choices, I know. Thanks for the compliment, Cheryl! That rug is gorgeous! It’s going to be even more of a showpiece when the wood floors go in!! LOVELY! I am dreaming about it now. tee hee. Wow, the jute really tied everything together well! I would definitely get the Nature’s elements 0442 Natural/camel for my living room – beautiful! That is a fantastic rug that goes well anywhere. Good pick! Oh my! I fell in love with the Flokati rug. It’s so luxurious. I really like what you selected too. Very practical choice for the room. I totally love that one too. If it weren’t for kids and pets, it would be mine too. I love the natural jute like you are using. It would be awesome in my basement! Thanks for the giveaway! The braiding and backing is so awesome. Love it! That blue jute rug is so pretty!! That color is da bomb! awww…thanks, Candy! We don’t have a farmhouse either, but a souped-up 1950’s Gunnison home. We are doing what we can until our dream becomes reality. We are blessed. I love your new jute rug. Plus, I’m all for wood floors and agree they are much easier to keep clean. Maybe it’s because I grew up in the most beautiful log home (even though we had carpet too), but I love the wood. What pretty rugs. I need a new rug for our den because I am changing out the decor. Fingers crossed. This would be perfect, Pam! 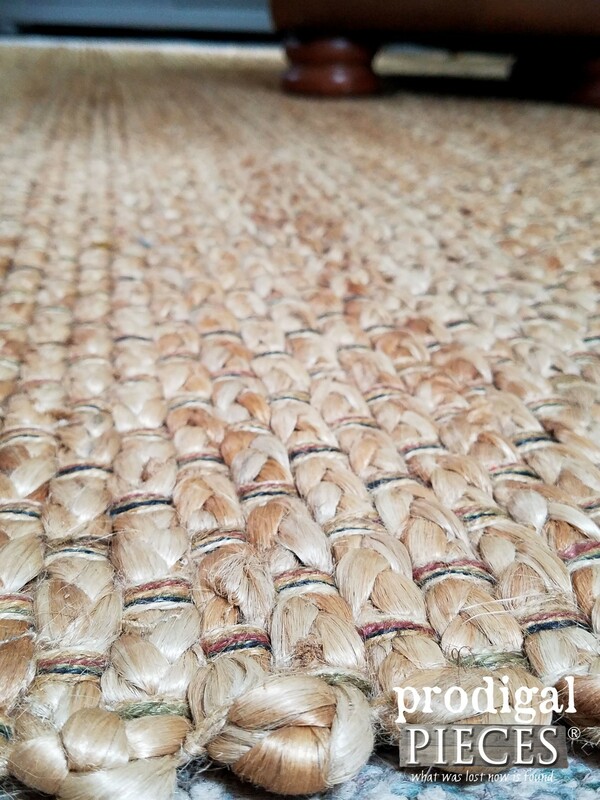 I love jute rugs! We don’t have carpet in our house and I purchased a gorgeous cowhide for our living room needless to say with two reckless boys that baby has made its way to my bedroom leaving the living room bare. I’d love a natural rug to replace it! ouch! I know how that goes. That’s why I love natural fibers. They wear so well. Here’s hoping! Love that rug!! It looks amazing in your room!!! Thanks for the chance to win!! Love that kind of contrast. I’m pretty sure I’m in love with the Blue OOD41 rug! So classy! 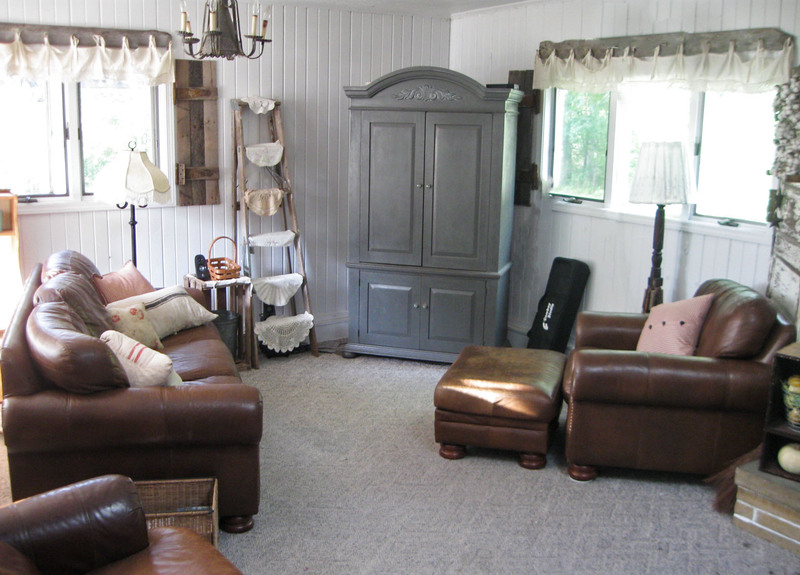 LOVE, love reading your blog and following on FB…found a new place for rugs too! How fun to hear! Thank you, Tammy. Larissa, this is a totally awesome giveaway and I feel appreciative that you are letting me in on this opportunity. I would love to have an area rug for under my dining room table. Thank You! Rug in the dining area are wonderful. I wish I could give one to each of you! I so need a new rug for my livingroom in my new home. The rug I have now ooesnt match a thing in the room but I got it for a steal an estate sale and really needed one! Jute is the best. That’s what I would choose. Your rug looks fabulous!! 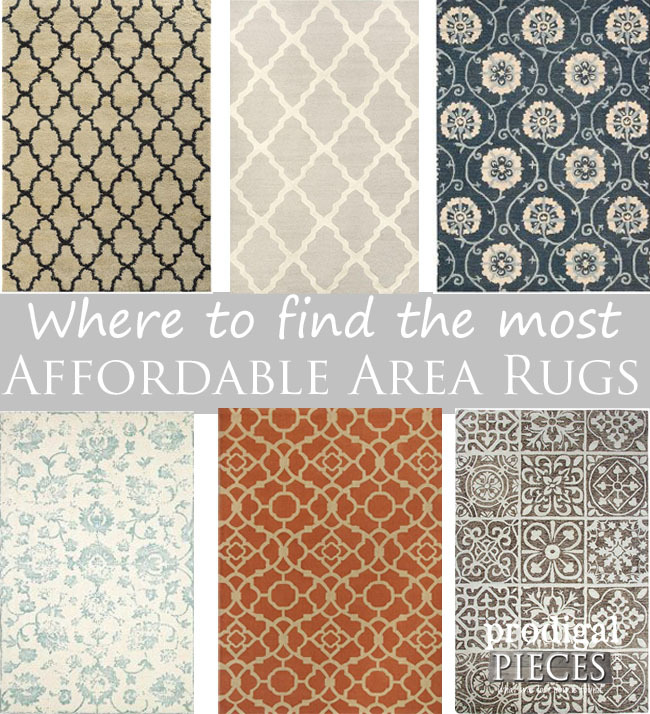 It would be hard for anyone to choose just one rug from this site! Everything is beautiful. Since you asked though…. Jennie Lake Tuscan Orange C would look stunning in our new house!!! Found you through Pinterest. You are awesome!!! Good luck to all who enter! Thanks! And yes, so many to choose from. It was hard to pick one! Larissa it’s gorgeous and so much cozier!! I looked at the rug selection and can’t get over how affordable they are!! My choice would be Tangiere. It’s gorgeous colors and circular designs are my favorite!!! Yes, they have oval, circular, and so many choices to keep me there all day dreaming. 😀 Thanks for the love! I love them all. We just finished redoing our living area / kitchen and the jute rug would finish it off beautifully. Keeping g my fingers crossed. That would be perfect, Alida! I like the Blue/ Ivory Anasaf rug! Those colors are on of my favorite combinations. Good pick! Love that rug you chose! We had a similar one years ago and I would love to replace it! I like yours a lot. Enjoy! We do love that space even more and can’t wait to finish the room. Thanks, Jeanette! There are so many beautiful ones! It would be one hard choice! Wow! the rug makes a diffrence! I love your new rug! I’m looking for one for our family room, too. They have so many choices! Larissa it’s so hard to pick because there all so beautiful…but my two absolute favorite are: Ivory, and Midnight! I Love the jute rug! Always wanted one! We are finishing our new home & this would be perfect as I too detest carpet, especially berber! Good look to everyone! Thanks for being such a blessing! And your home is beautiful! You are spot on. Thanks, Dana! The Natural Canvas would look wonderful in my living room! That is a great neutral beauty. I want the bigger version of what you got in blue. Ooooh…a gal after my own heart! Looks very nice and brings everything together. It really does. I can’t wait for the rest of the room. Wow, looks great! What a difficult decision you had to make. I think I’d go with the blue version of the jute rug. Love your room and the new rug is perfect. If I had to choose one for myself I think I would go with the blue jute rug that you showed. Love how durable they are and the blue adds a little twist to the natural color. Thanks so much for the chance to win. The rug you chose has great texture I love it.Naturally good looking. Thanks, Cheryl. We love it! Larissa, I would get the rug that you have only in blue. It is beautiful! I like the one they had in a picture under green. But couldn’t find the name for it. I would call it wavy shell. I have been looking…drooling…over rugs for my future bedroom makeover! I’m painting the walls gray (my fave) using pops of oranges and aquas. I’m not sure which rug would look the best, but I’m loving Marina Navy and Ivory…I think!! Thanks for the chance to win! That sounds wonderful!! I think you have a great neutral and the choice is going to be hard. 😀 tee hee. Just removed our carpet to expose the wood floors.I love them! But we could certainly benefit from an are rug, maybe the Varanasi would be my choice. How exciting! 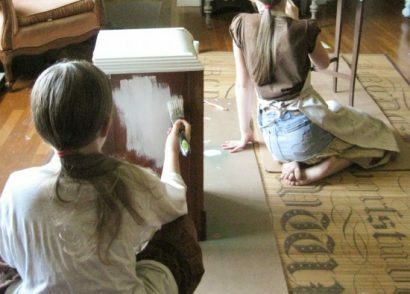 We did the same in our living room and bedrooms and love how much easier it is to keep clean. The room looks so cozy and comfy! I totally agree about the hardwoods. Carpet plus kids plus pets just equals more work for mom, that’s out!! My favorite is the Heritage white, it is gorgeous! !